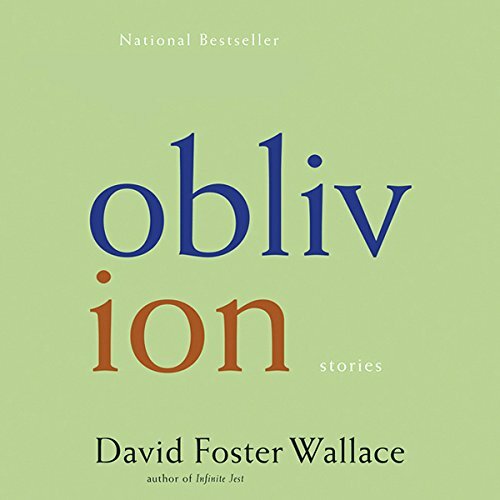 In the stories that make up Oblivion, David Foster Wallace joins the rawest, most naked humanity with the infinite involutions of self-consciousness - a combination that is dazzlingly, uniquely his. These are worlds undreamt-of by any other mind. Only David Foster Wallace could convey a father's desperate loneliness by way of his son's daydreaming through a teacher's homicidal breakdown ("The Soul Is Not a Smithy"). Or could explore the deepest and most hilarious aspects of creativity by delineating the office politics surrounding a magazine profile of an artist who produces miniature sculptures in an anatomically inconceivable way ("The Suffering Channel"). Or capture the ache of love's breakdown in the painfully polite apologies of a man who believes his wife is hallucinating the sound of his snoring ("Oblivion"). Let me get my biases out in the open. I love DFW. I have to be careful somedays to not fall-down and worship his novels. 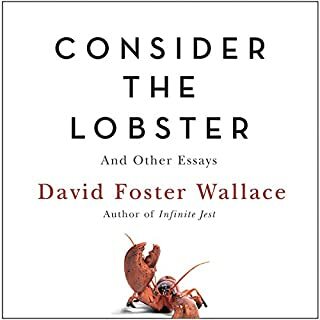 Wallace's nonfiction talent also hits me as evidence that the universe is not even slightly unfair. But, I've always been just a little unsettled (and occasionally freaked out) by his short stories. 'Oblivion', like his earlier story collections ('Brief Interviews with Hideous Men' and 'Girl with Curious Hair') is one of those tortured works of fiction that both attract and repel me at the same time. 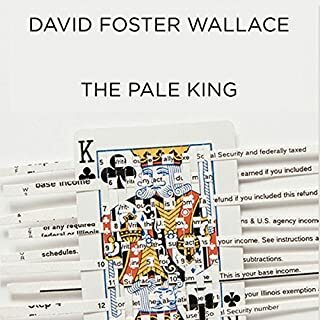 It is a little spooky how some of the stories ("Mister Squishy" and "Another Pioneer") anticipate his last unfinished novel 'The Pale King' while "Good Old Neon" was hard to listen even though it has been almost four years since his suicide. Anyway, these stories are quirky, stylized, experimental, and brilliant in their beauty and their suffering. 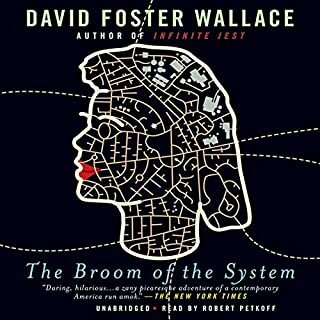 Robert Petkoff, who also narrated DFW's 'The Broom of the System', 'The Pale King', 'Girl with the Curious Hair', enunciates a Wallace sentence like it's his JOB. I loved this book. Meandering and seemingly stream of consciousness, but intricate and intelligent. Funny and irreverent. Guys if you've ever been in business or market research you will especially love its meetings and Byzantine intrigue. I enjoy descriptive, detailed, multi-faceted scenes and characters but found this book an example of the author's pretentious use of a thesaurus. Tangents contributing to the basic story are great, but meanderings in college-level verbiage are another. I listened to nearly all the stories but found them disappointingly boring and pointless as none of them had an ending that I could discern or they made the same repeated point simply using synonyms. 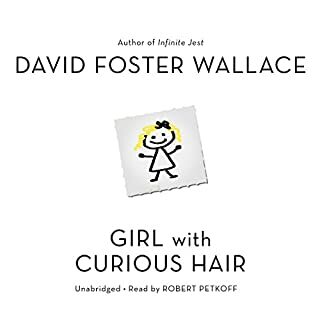 This author gets all kinds of awards and acclaims so I may be a Philistine but I know what I like - a well-written, entertaining or meaningful story with an end which justifies my listening to it. Completely unfulfilled I eventually thought the author is just showing off his vocabulary and use of "color" and quit the book. A thoughtful, deep, and frankly harrowing narrative about the harsh realities of human life. 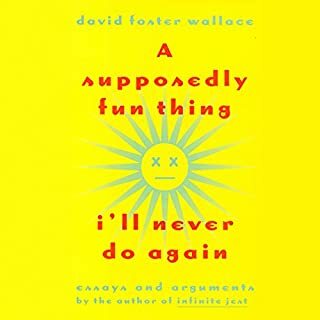 David Foster Wallace provides a refreshing, and in the same respects, disturbing exploration of the human faults, embarrassing truths, and utter rawness of daily societal experience in stories that are so creative and imaginatively written, they will make you laugh then pass on a feeling of shock and horror. Kudos, DFW! Glad to have heard the audiobook of this work. What would have made Oblivion better? As lauded, Wallace was clearly very intelligent, but is seams like he is trying to beat you over the head with it. He is so wordy and goes into intense descriptions that seem to be completely unnecessary. I don't know if these stories had been writing exercises never intended for publication? The stories have no endings!!! Despite the head-scratcher of a book, the narration was incredible. I can't imagine being tasked to have to record the reading of this book. Hope he was paid well. stories have so many tangents that it's hard to tell where one leaves off and another begins. it would help the listener if music or something separated the tales. 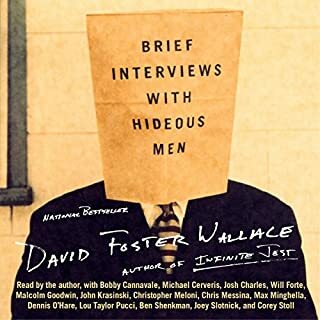 This was my first encounter with David Foster Wallace, and one of inspiration, which is to say its impact will be further endeavors with the author’s writing. If a technical manual , a Woody Alan shorty, and a white paper on the metallurgical attributes of lead were combined, a David Foster Wallace story would be the result. I had to turn it off and I'm very hard to disturb. More horrific than King ever even considered. The performances was good, however. The stories had much potential, but like DFW's life, where ultimately cut short. Definitely an odd way to leave the reader. If you could sum up Oblivion in three words, what would they be? If you could take any character from Oblivion out to dinner, who would it be and why? David Foster Wallace (since he appears in one of the stories), because it would mean he would still be alive. The imaginative and creative power displayed in these stories is awe-inspiring.